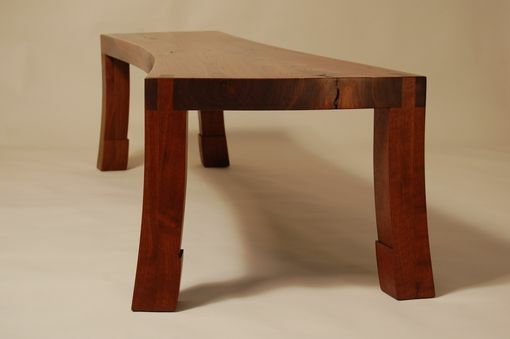 This one-of-a-kind bench / coffee table features a curved walnut slab top that is over 2" thick and has exceptional 'feather' figure and rich color. 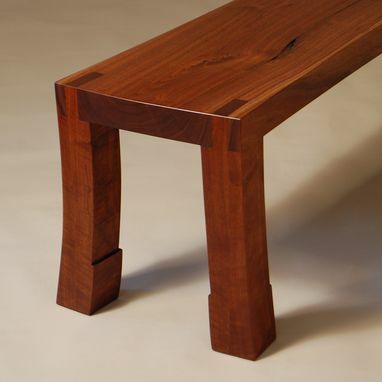 The legs accentuate the curves of the top and feature a subtle Chinese 'horse hoof' detail. 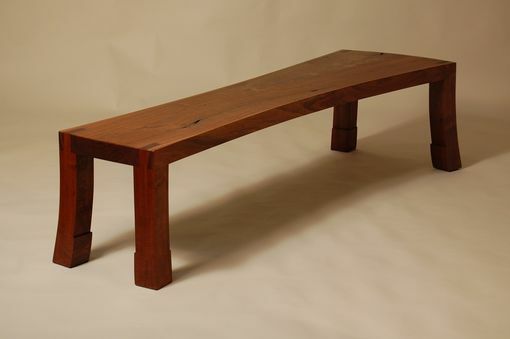 In addition to the fine proportions and exceptional wood, a main detail of the bench is the exposed joinery where the legs meet the top. 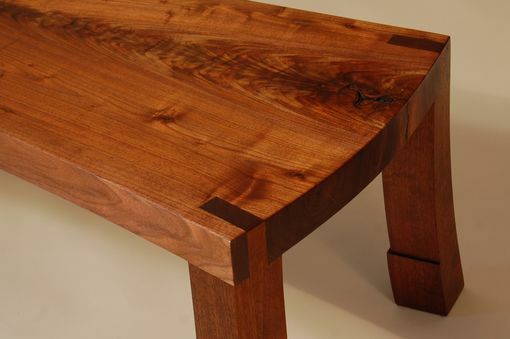 The walnut was harvested as 'urban wood' from a residential property in Brooklyn, Wisconsin.